Welcome back to Jane Looking Forward, my new weekly opportunity to speak directly to you and share what’s on my mind. The plan to create an egalitarian prayer space at the Western Wall in Jerusalem was on life support even before Israeli Prime Minister Benjamin Netanyahu unceremoniously pulled the plug yesterday. We all knew that. Still, when Netanyahu actually decided to cancel a plan approved by a majority of his cabinet a year and a half ago — and not just continue to prevaricate — the Jewish world reacted with force and more fury than I expected. Some of his staunch American allies agreed with me, that this was a total affront to liberal Jews and a game changer in the relationship between Israel and the Diaspora. Back in January, I promoted the suggestion of Elazar Stern, a Knesset member and a former major general in the Israel Defense Forces, who urged that American Jewish religious and communal leaders boycott their Israeli counterparts until the agreement to provide equal prayer space at the Western Wall was implemented. It’s happening. The Jewish Agency cancelled a dinner with Netanyahu scheduled for last night. The Union for Reform Judaism won’t meet with the prime minister on Thursday, as planned. Are we at an inflection point in the already deteriorating relationship between Netanyahu’s government and the Diaspora? If so, this week may be telling. The debate on intermarriage continues. Is it because June is traditionally wedding month? Whatever the reason, a vibrant and healthy conversation is happening over whether Jews who wish to marry non-Jews should be welcomed under the wedding canopy, and if so, how. Read our continuing coverage here. All this has got me thinking: Why does it seem easier to talk about intermarriage than Israel? Why are so many rabbis hesitant to sermonize about the Jewish state but not at all hesitant to weigh in on the state of Jewish marriage? As I puzzle through this question, I welcome your insights and reactions. Please feel free to email me. Last week I attended a small, private gathering hosted by the Committee to Protect Journalists to talk about online harassment of American journalists. This was a first for the media advocacy group, which until now has focused on the threats to journalists abroad — a disturbing commentary on the state of American press freedom today. With CPJ’s permission, I wrote about the meeting and its implications. Near and dear to my heart is another effort to protect journalists who are younger and in many ways more vulnerable. For decades, the Student Press Law Center, whose board I chair, has provided legal assistance to students in high school and college. So I was thrilled last week when Margaret Sullivan, the Washington Post’s media columnist, wrote about this gem of an organization, finally giving it the attention it deserves. For a quick snapshot of how Donald Trump’s presidency is impacting American Jews, check out Steven Windmueller’s piece on eJewishPhilanthropy. If, like me, you saw the long but absorbing award-winning play Oslo, it’s worth reading a very different take on its politics by Jonathan Tobin, writing in Israel Hayom. The main problem with the play, Tobin argues, “is what was left out of the story.” Considering that the play ran for three hours, that says a lot! This week, for the first time in its very long history, the Forward newsroom will not be working on a weekly print edition of a newspaper. Even when we have skipped a week here and there because of holidays, the vibe of a seven-day cycle still hung in the air and shaped our calendars, reaching a crescendo on production day. No more. Next month we debut our new magazine, a beautifully designed product with compelling and delightful content, while we focus on continuing to grow forward.com into the preeminent independent news outlet for America’s Jews. In true Forward fashion, the entire staff celebrated last week when the last print newspaper went to press with a champagne toast and large cookies decorated with a newsprint cover that will surely become collector’s items. Some of my colleagues looked downright wistful. Not me, surprisingly. As someone who grew up awaiting the paper on my doorstep and who still relishes the touch of newsprint in my hand, I expected to feel more nostalgic than I did. Maybe it was the champagne! More likely it’s because I see this as one more example of the Forward’s amazing ability to sustain itself through change. Click here to sign up for Jane Looking Forward, delivered weekly to your inbox. 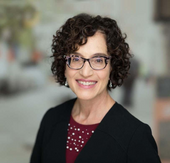 This story "Jane Looking Forward: Drama At The Western Wall, Defending Democracy And More" was written by Jane Eisner.